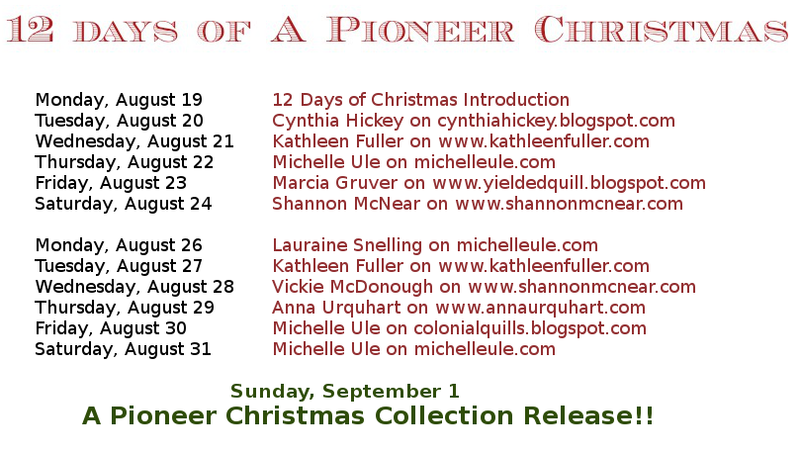 Today we meet Shannon McNear, author of the debut novella, “Defending Truth” in A Pioneer Christmas Collection. 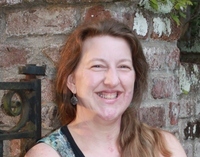 For more information about Shannon, visit her website at www.shannonmcnear.com. 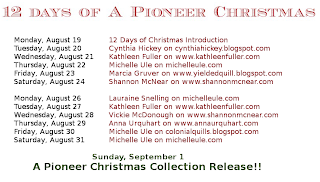 You can also find her monthly on the Colonial Quills website and weekly at The Borrowed Book. 1. Shannon, what made you write about your period in time? very interesting comment about the righteous patriot and heathen British not being true! I don't like camping either, Sharon! Unless it's in a great big motor home, complete with a fully stocked kitchen and hot water for showers. :) Best of luck in the drawing. It is an interesting observation, Gail. Maybe I can get Shannon to explain. I'd love to know what she means. Congrats on another entry in the contest. Good luck! Sharon, I've heard a lot of people say that! :-) And I suspect I'd like camping a whole lot less than I did as a kid ... it's the mom who gets the unenviable task of planning and packing. I can hardly wait to buy this book. I love every thing Marcia Gruver has written. Come on Sept. 1 !! Love reading these interviews! Thanks Marcia & Shannon. I'd be a dawdler and dreamer too Shannon, making life way tougher for us all! ;) I loved learning about this part of the Revolutionary War, because I'd never heard of a Tory before. Like I said somewhere else, I really think I know more about America's history than Australia's - after reading so many fascinating Historical's! Carolyn, that's so sweet of you to say! Thanks so much for coming by to post a comment on my blog. Check back every day. Each day's comment is another entry to the contest. Good luck! Shannon, thanks so much for clearing that up. I was curious, too. Who knows what we'll uncover when we set out to research a book. 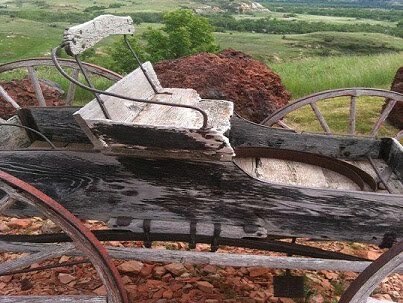 I'm not a pioneer either, Amy C. I love to return to those days, but only in my imagination! Good luck on the drawing.